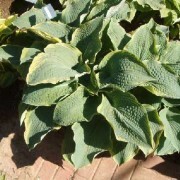 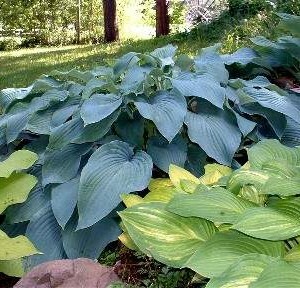 Large: Clump size 29″ x 52″ Large heart shaped leaves (13″x 11″ with 13 vp) with a clean, creamy-yellow margin; forms a large majestic clump with stately, spreading form. 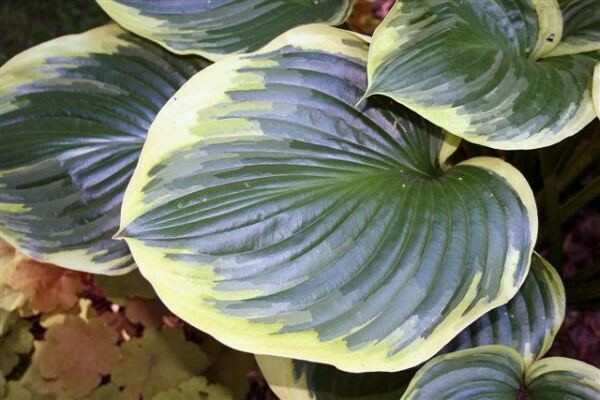 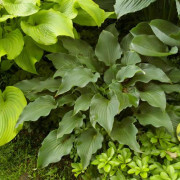 All that Jazz’ Hosta is one of Olga’s Petryszyn latest releases, ‘All That Jazz’ displays large heart-shaped leaves with a clean, creamy-yellow margin. 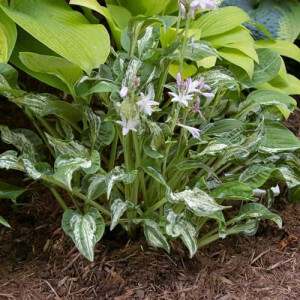 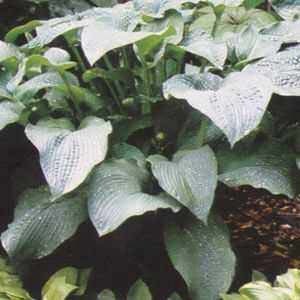 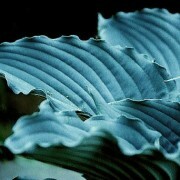 It forms a majestic clump with a stately, spreading form, suitable for underplanting with ground covers. 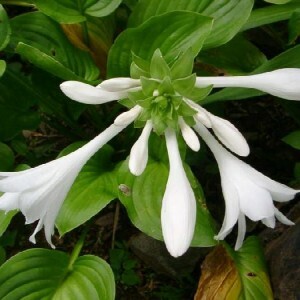 White flowers top the clump in midsummer. 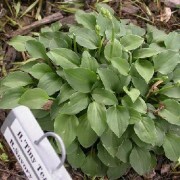 A sister seedling of ‘Mardi Gras’ (‘Christmas Tree Gala’ and H. montana ‘Praeflorens’).